Two years ago, Sherif Girgis, Ryan Anderson, and Robert George published an article in the Harvard Journal of Law and Public Policy on "What Is Marriage?" This article was widely debated because it was one of the most rigorous arguments for the claim that only heterosexual marriage of one man and one woman is "real marriage," and therefore that legalizing homosexual marriage would show a mistaken understanding of marriage. Now, Girgis, Anderson, and George have published an expanded version of their article as a short book. Information about the book can be found at their website. Now that the Supreme Court of the United States has taken up the issue of whether homosexual marriage is a constitutional right, we can anticipate that this book will have some influence on the Court's decision. In response to the original article, I wrote a series of posts indicating that their reasoning about "real marriage" is essentially an argument rooted in a biological conception of natural law that evolutionary science would support. I generally agree with this understanding of marriage as rooted in evolved human nature. And yet I also indicated my disagreement with their suggestion that if homosexual marriage is legalized, this will destroy heterosexual marriage. To me, this contradicts their natural law argument. If "real marriage" is really natural, and not an artificial construction of law, then shouldn't we expect that natural inclination to marriage to express itself regardless of changing legal definitions of marriage? And if it is natural, shouldn't we expect that the natural and voluntary associations of civil society will continue to support that natural institution of marriage, even if the legal definition of marriage has changed? I see nothing in this book that would change my mind about this incoherence in their argument. On the one hand, they say that "redefining civil marriage would change its meaning for everyone," and they endorse a remark by Joseph Raz that "if these changes take root in our culture, then the familiar marriage relations will disappear" (54-55). This suggests that marriage is so much a legal construction that changing the legal definition of marriage could bring about the complete disappearance of heterosexual marriage. But if real marriage is natural, why does it depend completely on governmental law? This indicates that marriage does not depend totally on legal enforcement, implying that even if the legal definition of marriage changes, "real marriage" will not disappear. I agree, of course, that the natural inclination to marriage needs to be nurtured by social institutions--families, churches, and other social groups. But this does not require a governmental system of marriage licensing. In fact, as I pointed out in my previous posts, throughout most of human history, marriages were defined by informal norms shaped by families and other social institutions without any need for legal licensing. But if Girgis, Anderson, and George are correct, this is impossible, because "real marriage" cannot survive without governmental licensing. Occasionally, however, they concede that most of the work of "upholding marriage culture" belongs to "civil associations," and the state provides only a "supporting hand" (39-40). But, again, much of what they say implies that any change in the state's definition of marriage could bring the disappearance of traditional marriage. I am attracted to the idea of privatizing marriage just as we have privatized religion, so that marriage, just like religion, would be left up to the spontaneous orders of civil society. If marriage were privatized, and thus there would be no necessity to get a marriage license from the state, then the natural institution of heterosexual marriage would prevail as satisfying the natural desires of most human beings. But this would also allow some human beings to enter into homosexual marriages or other forms of marital union. According to Girgis, Anderson, and George, this is impossible, because heterosexual marriage cannot endure if it is not legally licensed by the state as the only form of marriage. My previous posts on this can be found here, here, here., here., and here. The secularization of politics through the liberal policy of legal toleration is largely a product of Christianity. Liberal secularism has arisen as an unintended order of the cultural evolution of Christianity. The crucial step in Christianity's secularization of politics was the move from the Old Testament to the New Testament. The Mosaic political regime in the Old Testament became a theocracy that enforced its moral and religious law through persecution. By contrast, the Christian churches in the New Testament were voluntary groups that enforced moral and religious conformity among their members without legal coercion. After the conversion of the Roman Emperor Constantine in 311, Christianity eventually became the exclusive religion of the empire, and this allowed the Christian Church to use legal coercion against pagans and heretics, which included the execution of heretics. The Catholic Church developed a theory of persecution that prevailed in the Middle Ages. As a consequence of the Protestant Reformation, Protestants argued against the Catholic persecution of Protestants as heretics. But once the Protestants gained political power, they persecuted Catholics, and the different Protestant churches persecuted one another. This conflict provoked a debate over the possibility of a legal toleration that would allow for the peaceful coexistence of the differing religious traditions. Eventually, this led to the development of the modern liberal doctrine of religious liberty. More clearly than any other Christian author in the Reformation, Roger Williams saw that legal toleration to protect the liberty of conscience was a return to the original position of New Testament Christianity as opposed to the Mosaic regime of persecution in the Old Testament. For, as he declared in The Bloody Tenant of Persecution in 1644, "Persecutors seldom plead Christ but Moses for their author" (BT, 58). Williams was one of those very few people in the Reformation who argued against persecution not only when he was its victim, but also when he had the power to become a persecutor. He was expelled from the Massachusetts Bay Colony for condemning the Puritan rule there as a Mosaic theocracy that was contrary to the New Testament, and for arguing that the American Puritan settlers should pay for the land that they had stolen from the American Indians. He then settled in what would become Rhode Island, established amicable relations with the Indians there, and founded a political community that extended legal toleration to all religions, although Williams was vigorous in trying to persuade those he regarded as pagans, blasphemers, and heretics to correct their moral and theological errors. The radical character of Williams's argument was widely recognized: shortly after its publication, The Bloody Tenant was burned by order of the British House of Commons. Locke's Letter Concerning Toleration was published forty-five years after Williams's Bloody Tenent, and the range of Locke's toleration fell short of Williams's. Williams argued for tolerating all pagans, Jews, Muslims, Protestants, and Catholics. But Locke refused to extend toleration to Catholics and atheists. Williams never says specifically that atheists are to be tolerated. Some scholars assume that when Williams speaks of tolerating "Antichristians," this must mean atheists. But clearly for Williams, "Antichristians" refers to Catholics or "papists"--those who are "false Christians" submitting to the Pope as the Antichrist (BT, 134, 179). But it's significant that Williams never specifically states that atheists subvert social order, as Locke does. Moreover, that Williams's legal toleration would protect atheists as well as believers is suggested by his radical separation--or what he called "wall of separation"--between church and state. He interprets Romans 13 as teaching that the civil magistrates have authority only of a "civil nature" for "the good and peace of their civil state," while the Kingdom of Christ has authority of a "spiritual and of a Soul-nature" (BT, 108-109). Civil magistrates have charge of "the bodies and goods of the subject," while the spiritual officers of Christ's church have charge of "their souls and soul safety" (BT, 127). The "civil sword" for "defense of persons, estates, families, liberties of a city" does not extend to "spiritual and soul-causes" (BT, 160). There are "diverse sorts of goodness," and "civil or moral goodness" is distinguished from "spiritual goodness" (BT, 245-46, 331-34). If government is restricted to securing "civil peace" or "a civil way of union," then every church can exist like any voluntary group that has no authority to use legal coercion (BT, 72-73). Like any voluntary group, a church can follow the pattern of the churches in the New Testament that used excommunication as the ultimate punishment for those who departed from the orthodox beliefs and conduct of the church (see, for example, I Corinthians 5:13). But "excommunication is not persecution" (BT, 91, 116, 192). Williams argued that Constantine and the good Roman emperors did more harm to Christianity through their persecution of heretics and pagans than did Nero in his persecutions of the Christians (BT, 184). In adopting legal toleration, Christians can return to the true teachings of Christ and the early Christians, who refused to imitate Moses in setting up a national church. Although Locke's toleration is not a radical as Williams's, Locke does see as well as Williams the contrast between the Old Testament and the New Testament. Like Williams, Locke relies on the New Testament to support his argument for toleration. In his Letter Concerning Toleration, Locke cites the Bible at least 18 times, and only 5 of these are references to the Old Testament. He observes that while the Jewish commonwealth in the Old Testament was an "absolute theocracy," "there is no Christian commonwealth" in the New Testament (42, 189). Williams and Locke were able to support their argument for toleration with a plausible reading of the New Testament. By contrast, it's hard to support any argument for persecution as compatible with the New Testament. One example of this is the parable of the tares and the wheat (Matt. 13:24-30). Jesus compares the kingdom of Heaven to a man who sows good seed in his field, but then his enemy sows tares (weeds) among the wheat. When they sprout, the wheat and the weeds are mixed together, and the man's servants offer to pull up the weeds. But the man says that this should not be done, because any rooting up of the weeds will likely root up some wheat as well. So he allows the plants to grow together until the harvest, when the reapers will gather together the weeds to be burned, and gather the wheat into the barn. While the interpretation of parables is often difficult, the meaning here seems reasonably clear: in this life, it is hard to separate true Christians from those who are not, but at the day of judgment in the afterlife, the true Christians will be rewarded with eternal life, and the unsaved will be eternally punished in Hell. This was the interpretation Williams used to support legal toleration: the unbelievers and the false Christians must be left alone and not persecuted, because at the time of harvest at the Last Judgment, they will be recognized by God and condemned to eternal punishment (BT, 112-13). Augustine, however, developed a twisted interpretation of this parable to support persecution. When the weeds are clearly identifiable as different from the wheat, persecutors have a Christian duty to uproot the weeds without disturbing the wheat. This perverse reading of the parable of the tares was adopted by the medieval Catholic Church to support its theory of persecution. Notice that Williams's reading of the New Testament allows him to combine legal toleration and moral and theological absolutism. Often the critics of toleration complain that it rests upon moral and theological relativism--that toleration assumes that there are no absolute standards of right and wrong. But with Williams, this is not true. He was morally and theologically intolerant, even as he argued for legal tolerance. He was sure that the New Testament provided absolute standards of right and wrong rooted in divine truth, and he was sure that the errors of his opponents would be punished by God in the afterlife. But while in this life, he would try to expose these errors through persuasion, he had no moral or religious right to use coercion to suppress the liberty of conscience of those who disagreed with him. This must be so, because freedom of thought is the precondition for Christian virtue. There is no moral or theological virtue in being coerced into a hypocritical profession of belief. This indicates the classical liberal or libertarian character of New Testament Christianity as manifested in Williams's writings. This line of reasoning is elaborated in a remarkable book by Andy Olree, The Choice Principle: The Biblical Case for Legal Toleration. Olree writes primarily for evangelical Christians, trying to persuade them that Williams was right about the New Testament teaching toleration, and that such toleration really is compatible with a Christian belief in the absolute moral and theological truth of the New Testament, as long as one understands that the New Testament teaching about freedom of choice supplants the Old Testament teaching about theocracy and persecution. In defending "legal toleration," Olree expands the argument for religious toleration into a general argument for the legal toleration of both religious and moral pluralism. 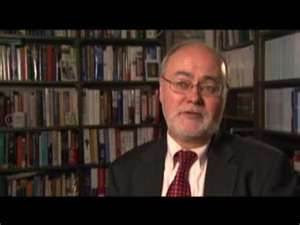 Thus, Olree argues against the "legal moralism" of many evangelicals and of Catholics like Robert George who assume that any good regime must legally coerce people into virtue, by outlawing immoral behavior, which Olree rejects because it cannot work, because it promotes a denial of human liberty, and because it contradicts the teaching of the New Testament. In arguing for a combination of liberty and virtue--liberty as secured by government and virtue as cultivated in the natural and voluntary associations of civil society--Olree takes a position that is similar to the Christian libertarianism of Frank Meyer and the Aristotelian liberalism of Douglas Rasmussen and Douglas Den Uyl. They all argue that, far from being contradictory, political liberty protects the freedom of choice that is the precondition for moral virtue. A commonly cited New Testament passage to support persecution and legal moralism is the teaching of Romans 13 that rulers are God's servants "to execute wrath on the wrongdoer." One of the best parts of Olree's book is his interpretation of this teaching (84-88, 106-10, 113-15, 120-24, 146-47). The primary question here is the meaning of "wrongdoing." Olree argues that both the historical context and the textual context suggest that the "wrongdoing" that is rightly punished by government refers only to actions of people that directly harm or victimize others. First, the historical context for this scriptural passage is that Nero is the Roman Emperor. During Nero's time, Roman law was used to support pagan worship, which was sinful to the Christians, and it allowed for sinful activities such as prostitution, homosexuality, and abortion. So, clearly Paul was not interpreting "wrongdoing" as all conduct that would be sinful according to the Bible. Second, the textual context is that immediately prior to Romans 13--at the end of Romans 12--Paul condemns vigilante vengeance ("Do not repay evil for evil," because vengeance belongs to God). Thus, by implication, Olree concludes, the rulers seen as God's servants in punishing wrongdoers in Romans 13 are exercising collective vengeance as a legal substitute for individual vengeance, so that the "wrongdoing" being punished by government is any wrong that would so harm or victimize people that they would naturally want to take vengeance. Such "wrongdoing" would be acts of force or fraud that victimize others rather than personal sins. Olree applies this libertarian reading of the New Testament to the legal and moral debates over suicide, homosexuality, drug addiction, redistributive taxation, prostitution, and abortion. In each case, he argues for the "choice principle"--that law rightly secures individual choice or autonomy except in those cases where individuals have imposed some direct harm--by force or fraud--on others. In the case of abortion, he takes no clear position, except to argue that whether we should legally prohibit abortion as murder turns on the question of whether human life begins before birth, which he takes to be a question that the Bible does not answer. "In faithfulness therefore to the truth of the Gospel, the Church is following the way of Christ and the apostles when she recognizes and gives support to the principle of religious freedom as befitting the dignity of man and as being in accord with divine revelation. Throughout the ages the Church has kept safe and handed on the doctrine received from the Master and from the apostles. In the life of the People of God, as it has made its pilgrim way through the vicissitudes of human history, there has at times appeared a way of acting that was hardly in accord with the spirit of the Gospel or even opposed to it. Nevertheless, the doctrine of the Church that no one is to be coerced into faith has always stood firm." Is the Catholic Church confessing here that its earlier doctrine of persecution was contrary to the New Testament--"a way of acting that was hardly in accord with the spirit of the Gospel or even opposed to it"? Does this concede that Roger Williams was right about the New Testament supporting toleration and liberty, while the medieval Church and the Protestants who supported persecution were wrong? Do we see a continuation in this movement of the Catholic Church towards Christian libertarianism in that Popes John Paul II and Benedict XVI have asked forgiveness for the Church's history of supporting the violence of persecution? Some of these points are elaborated in other posts here, here, here, here, and here. Roger Williams, The Bloudy Tenent of Persecution, in The Complete Writings of Roger Williams, ed. Samuel L. Caldwell (New York: Russell & Russell, 1963), vol. 3. "For hundreds of years, Hell has been the most fearful place in the human imagination. It is also the most absurd." That's the opening of the cover article for the Christmas issue of The Economist. After ridiculing the traditional depictions of Hell, the author concludes the article: "Just as there can be no light without dark, and no sound without silence, so everlasting celestial joys depend on a contrast of everlasting horror. Without Hell, you can't have Heaven." So just as there is no Hell, there is no Heaven. What I find most remarkable about this is that this article in a popular magazine will not provoke any outrage--at least not in most of the Western world. I assume that this article will be banned in those countries where blasphemy is a crime--even a capital crime. Not long ago, however, in Western history, anyone who denied the reality of Heaven and Hell would be subject to persecution and even execution. For most of us in modern Western societies today, the idea of persecuting people for questioning the doctrines of orthodox Christianity--such as God's eternal judgment after death--is incomprehensible. Even the most devout religious believers generally agree that we must tolerate not only differing religious beliefs but even open atheism as an exercise in freedom of thought. For me, this raises two general questions. First, what exactly is the philosophic or scientific reasoning behind this modern policy of liberal toleration? Second, is there any Biblical basis for this liberal toleration? I'll take up the first question here. I'll take up the second question in my next post. Probably, the single most influential statement of the case for toleration in early modern political thought is John Locke's Letter Concerning Toleration (first published in 1689). We might expect, therefore, that Locke would give us the rationale for tolerating atheists. Surprisingly, he doesn't do that. Locke does argue for tolerating Protestants, Muslims, Jews, and Pagans (including the American Indians). But he thinks there is no justification for tolerating either Catholics or atheists. Catholics are intolerable because their submission to papal authority make them disloyal citizens. Moreover, no religious group is to be tolerated if it teaches intolerance, and the Catholic Church officially endorses persecution of heretics, which includes all Protestants. That atheists cannot reasonably claim protection under a policy of religious toleration seems clear enough. But what about the other point--that denying the existence of God dissolves the bonds of social order by subverting the grounds of promises, agreements, and oaths? Elsewhere, Locke says that believing in the existence of God is "the foundation of all morality" (132). Apparently, for this reason, in the Constitutions of Carolina, which Locke coauthored with Shaftesbury, every freeman of the Carolina colony was required to acknowledge God and join a church, although diverse churches would be tolerated (146-47). In The Reasonableness of Christianity, Locke argued that one of the great advantages of Christianity was that its teaching about Heaven and Hell provided the only solid ground for morality. "Upon this foundation, and upon this only, morality stands firm and will defy all competition" (185). In this respect, the moral teaching of the ancient philosophers was inferior because they "seldom set their rules on men's minds and practices by consideration of another life" (183). Of course, the word "seldom" here might remind us that Plato was the first philosopher to elaborate a teaching about rewards and punishments in an afterlife, and, indeed, much of the Christian teaching about Heaven and Hell was shaped by the Platonic tradition. That atheism was not tolerable because it corrupted morality, and therefore should be prohibited by law, was a common assumption of almost all the proponents of toleration. Sebastian Castellio's Concerning Heretics (1554) was the first full statement of the argument for a tolerant Christian society, which was provoked by John Calvin's execution of Michael Servetus in Geneva for heresy. And yet Castellio was clear that blasphemers who openly turn away from God should be punished, and even killed, because such atheism leads to criminal immorality. Roger Williams's The Bloudy Tenent of Persecution (1644) was the most sweeping justification of toleration up to that time--including even Catholics, whom Williams identified as "Antichristians"--but even so, Williams never explicitly said that atheists should be tolerated. As far as I can tell, the first writer to explicitly extend toleration to cover atheists was the English Leveller William Walwyn, in Toleration Justified and Persecution Condemned (published in 1646). A man "whose mind is so misinformed as to deny a deity or the scriptures," Walwyn argued, has committed the "worst of errors," but this does not justify coercive punishment (20). Rather, the best response to such error is to use reason and argument to expose the error. Yet this is only a brief comment by Walwyn without any elaboration. The first full explanation of how atheists could be safely tolerated comes from Pierre Bayle. In his Philosophical Commentary on Jesus's parable of the marriage feast ("compel them to come in"), first published in 1686, Bayle defended religious toleration as embracing all believers, including Catholics. But in one passage, he did allow for punishing obstinate atheists (242-43). This is hard to understand because his earlier book--Various Thoughts on the Occasion of a Comet (1682)--was the first writing in the history of philosophy and science to defend the possibility of a decent society of atheists. What Bayle says about how morality depends on natural passions or sentiments rather than on religious doctrines lays out a moral psychology that was later deepened by David Hume and Adam Smith, given an evolutionary explanation by Charles Darwin, and provided more theoretical and empirical support by recent research in evolutionary psychology and neuroscience. Bayle sees himself as reviving a tradition of "natural philosophy" that goes back to the ancient Greeks. The modern natural science of Hume, Smith, and Darwin continues that tradition. Considered purely as a general or abstract idea, it seems plausible that belief in a final judgment by God with eternal rewards and punishments in the afterlife would support virtue, and therefore that atheistic denial of this doctrine would subvert virtue. If all human beings seek happiness, and if they believe that obeying God's moral law will bring them eternal happiness in Heaven, while disobeying that divine law will bring them eternal torment in Hell, then one might expect that those human beings with such beliefs would always be virtuous. Bayle's argument, however, is that this general idea is contrary to what we know by experience, because we can see that Christians who sincerely believe in this doctrine of Heaven and Hell are no more virtuous than those people who doubt or deny this doctrine. The reason for this is that our conduct depends very little on our abstract ideas and much more on the dominant passions of our nature. This allows Bayle to argue that insofar as atheists are moved by natural passions that lead to virtue, they are virtuous in their conduct. That appeal to "sanctifying grace" in the last sentence is what some readers see as evidence that Bayle was not himself an atheist, but was rather a Calvinist who saw human depravity as so deep that Christian virtue could not arise from belief in Christian doctrines but only from grace as a supernatural gift from God. It is not so clear, however, that this grace makes much difference as far as the regular conduct of human beings is concerned (secs. 92, 157). In affirming his devotion to a life of science, Darwin indicates that he belongs to that small group of human beings whom Bayle identifies as having a dominant passion for natural philosophy or science (secs. 171, 175, 181). Although the natural human passions are universal to the human species, each individual shows a distinctive profile of passions in which some are stronger than others, which creates a diverse range of temperaments and thus a diverse range of goods for different human beings. Liberal toleration secures the freedom that allows the fullest expression of this diversity of human goods, protecting the philosophic few as well as the nonphilosophic many. Darwin is also like Bayle in that both of them reject "particular providence" in favor of "general providence." It is worthier of the greatness of God to work through the general laws of nature than to have to intervene arbitrarily into the world through miracles. Like Bayle, Darwin can allow God to work as a primary cause in determining the laws of nature, while allowing the secondary causes of nature (like natural evolution) to work out the natural history of the world (Bayle, secs. 172, 230, 234). If moral order depended on believing in certain religious doctrines (like Heaven and Hell), then liberalism would be indefensible, because we would have to assume that for the sake of social order we must use the laws to compel people to believe those doctrines, and thus individual freedom of thought would have to be seen as dissolving all social bonds. An evolutionary account of how moral order arises from natural human desires through voluntary associations in civil society, without any necessity for enforcing an established religion, supports the argument for liberalism. A few of the many posts on related themes can be found here, here, here., here., here., here., and here. Some of my posts on explaining religious belief as an evolved instinct of the human mind can be found here, here, here., and here. Adam Lankford's op-ed article in The New York Times seems to me to be one of the best explanations for suicidal mass killers like Adam Lanza. What most appeals to me in Lankford's explanation is his assumption that the aberrant and even monstrous behavior of such people can be explained as exaggerated or distorted expressions of the natural desires that we all share. Lankford's main idea is that suicidal terrorists and rampage killers have a lot in common. Specifically, Lankford sees them as sharing three factors. First, they generally are suffering from mental disorders or acute mental stress that make then suicidal. Second, they believe that their suffering has been unfairly inflicted on them by others, and they want to take vengeance through murdering them. These two factors explain the murder-suicides that are more common than suicidal mass killings. The third factor that is distinctive to these killings is the desire for fame and glory. I would explain these three motivational factors as linked to my list of 20 natural desires. First, the natural desire for a complete life is expressed as a desire for self-preservation. But we are also willing to risk our lives for a good cause, like the Sandy Hook teachers who gave their lives in defense of their students. In protecting young children, they were expressing a natural parental desire. And a very few of us can find our lives to be so painful that we might seek suicide as an escape from our suffering. Second, our natural desire for justice as reciprocity moves us to want vengeance against those who have victimized us. Apparently, Adam Lanza expressed this as a murderous rage against his mother. The third natural desire manifest here is the desire for social status--for social recognition or honor within the groups to which we belong. Adam Lanza was so socially awkward and socially detached that he became almost invisible, hidden away in his mother's house. We can speculate, as Lankford does, that Lanza could imagine that killing lots of elementary school children could make him world famous after his death. There is a twisted truth to this in that he could enjoy the prospect of gaining social recognition from a monstrous crime that would be known to the whole world. I am reminded of the killer at my university--Northern Illinois--who killed five students in a crowed lecture hall and then killed himself. It was reported that in his last days he was reading Friedrich Nietzsche, and thus he perhaps imagined that he would become an ubermensch by committing a crime that would show him to be "beyond good and evil." There is another factor here that is easily overlooked because it is so obvious: these suicidal mass killers are almost always young men. Such behavior is an extreme manifestation of destructive propensities in the minds of young men longing for fame and glory. Some of my previous posts on the shootings at Virginia Tech and NIU can be found here, here, here, here, here, here, and here. In June, the Mont Pelerin Society will be meeting in the Galapagos Islands for a conference on "Evolution, the Human Sciences, and Liberty." I will be joining a distinguished group of speakers in considering how evolutionary science applies to the debate over classical liberalism. My lecture will be entitled "The Evolution of Darwinian Liberalism." The Mont Pelerin Society was founded in 1947 to promote classical liberal thought under the leadership of Friedrich Hayek. Since Hayek applied evolutionary thinking to his arguments for classical liberalism, it's not surprising that the Mont Pelerin Society has organized this special meeting on evolution in the Galapagos Islands where Darwin gathered some of the evidence that he would use in developing his theory. If you go to the website for the conference, you will see that one of the suggested topics for the meeting is "to understand the cultural evolution of open societies as a means to escape from the tribal order." This reflects an idea from Hayek that I will dispute. Hayek sometimes spoke of "freedom as an artifact of civilization" that required the "repression" of the innate desires and emotions of human beings as shaped by genetic evolution for life in prehistoric hunting-gathering bands or tribes. This is the "Freudianism" of Hayek that I find unpersuasive. Like Freud in Civilization and Its Discontents, Hayek thought that the civilization of a free or open society was contrary to human nature as adapted for life in small face-to-face primitive groups. The freedom of a modern civilized society was a purely cultural construction that required the repression of the natural instincts of the human animal. By contrast, I will argue, the freedom of a modern liberal society can be rightly understood as an extension of the evolved predispositions shaped for prehistoric foraging societies--particularly, the predisposition to resist exploitation by dominant individuals. This evolutionary history of liberty is manifest in the historical anthropology of the early liberal thought of Locke, Hume, and Smith. Recently, evolutionary theorists like Christopher Boehm have shown how new research in evolutionary anthropology confirms this line of argument in classical liberal thought. So I will be developing some ideas laid out in various posts, some of which can be found here and here. As I have suggested in some previous posts, John Locke's "appeal to Heaven" shows a natural inclination to violent resistance to exploitation that is fundamental for classical liberalism. As a manifestation of Darwinian natural right, this can be explained as rooted in an evolved animal disposition to aggressive retaliation against attacks, which arises in human beings as a natural propensity to vengeance against injustice. Human beings can use their unique capacities for language and conceptual reasoning to express this natural propensity through abstract principles of justice, but these abstract principles are ultimately rooted in this evolved animal tendency to self-protection. As far as I can tell this phrase "appeal to Heaven" is Locke's. It doesn't appear in the Bible. It's similar to the way Confucius speaks of the "mandate of Heaven," as I have indicated in a previous post on "Confucian Liberalism." If there is any heavenly standard of judgment to settle moral and political disputes, it's ultimately expressed in the natural tendency of the people to rebel against unbearable oppression. This is what I mean in my previous post affirming the truth of might makes right: the threat or use of violent vengeance is the ultimate natural restraint on injustice. Notice also how Locke interprets the Bible--at least the Old Testament--as a work of historical anthropology. He assumes that what is being described in the history of the judges is the earliest emergence of government in primitive societies, where the natural drive for dominance in a few individuals motivates them to become war leaders chosen by their people. Notice also how Locke interprets this as showing government by the consent of the governed, in that these informal leaders like Jephtha depend on popular support for their authority. Thus the Biblical history coincides with what Locke sees in the history of the American Indians as a record of how government arose among the earliest human ancestors. 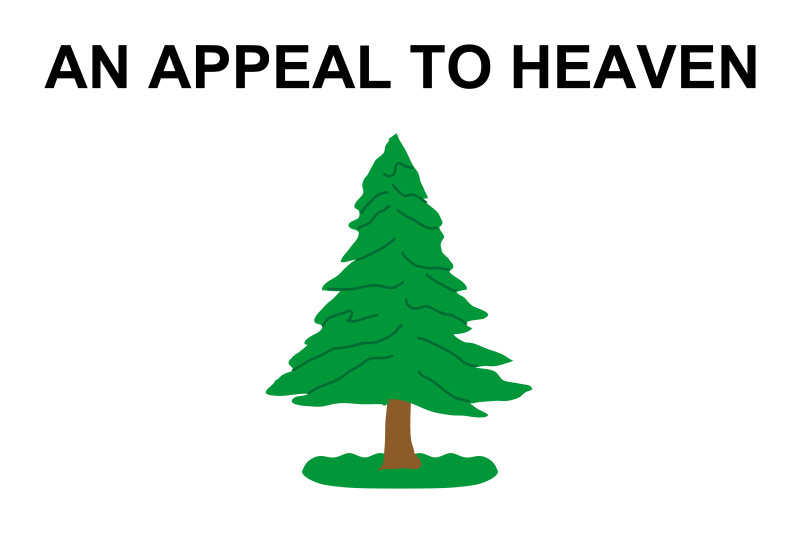 The influence of this Lockean idea in the American Revolution was vividly displayed in the design of what apparently was the first flag of the American navy in 1775--perhaps commissioned by General Washington--which had an evergreen tree of liberty and the motto "Appeal to Heaven." Some of the variations of this design can be found here and here. If it's rightly understood, it's really true that might makes right. That's one of the recurrent themes in my writing for this blog. As I work on the 4th edition of my book Political Questions: Political Philosophy from Plato to Pinker, I have been rereading some of my blog posts over the past seven years to help me think about how Darwinian science illuminates the debates in the history of political philosophy. As I have done that, I've noticed that Darwinism seems to support one of the fundamental claims of classical liberalism: natural rights emerge in human history as those conditions for human life that cannot be denied without eventually provoking a natural human tendency to violent resistance against exploitation. Asserting that might makes right is usually interpreted to mean that life is governed by brute force and not by any sense of right and wrong. This can suggest a kind of nihilism that is often associated with Darwinism by its critics: Doesn't the "survival of the fittest" mean that there is no natural standard of right in human evolution, because it's all determined ultimately by the rule of the stronger over the weaker? Doesn't this indicate that there's a clear line "from Darwin to Hitler"? But this fails to see how the Darwinian account of moral evolution depends on the natural propensity to exploitative dominance being checked by the natural propensity to resist exploitation, so that even the strongest tyrant is vulnerable to the vengeful retaliation of his victims. Thomas Hobbes captured this thought in his description of the state of nature as a state of equality in which all can defend themselves with violence. "Nature has made men so equal in the faculties of body, and mind; as that though there be found one man sometimes manifestly stronger in body, or of quicker mind than another; yet when all is reckoned together, the difference between man, and man, is not so considerable, as that one man can thereupon claim to himself any benefit, to which another may not pretend, as well as he. For as to the strength of body, the weakest has strength enough to kill the strongest, either by secret machination, or by confederacy with others, that are in the same danger with himself" (Leviathan, chap. 13). Notice that Hobbes is not saying that all human beings are absolutely equal, which would be obviously false. Even in a primitive state of nature, some people will be naturally stronger than others in their bodies or minds. But there is a rough equality in that even the strongest can be brought down by the weaker ones who have been provoked into attack. Machiavelli emphasizes this point when he warns that even the most powerful princes can be assassinated if they are hated by the people. Locke points to this when he speaks about the "executive power of the law of nature" (ST, 13). This "executive power" is the power of everyone to defend lives and property against aggressors, and to punish transgressors in any way that reason and conscience dictate as required for reparation and restraint, which includes the power to kill murderers. The first "great law of nature" stated in the Bible is "who so sheddeth man's blood, by man shall his blood be shed" (ST, 11; Genesis 9:6). The problem, of course, is that the vigilantism of the state of nature easily collapses into perpetual feuding, and then people will consent to establish formal governments and the rule of law. To do that, people must give up their executive power to the government, which then might become even more oppressive than any individual in the state of nature. But if the people feel oppressed, they can take back their natural executive power in an "appeal to Heaven" in war. Hobbes and Locke were not just speculating about this. They had seen the English Civil War. They had seen that Roundheads can defeat Cavaliers, and that kings can be beheaded. Locke had plotted with the Whigs in assassination conspiracies directed against the King. Hobbes and Locke had also studied carefully the reports about the foraging societies of New World, which Hobbes and Locke used as the basis for their depictions of the state of nature. In tracing political history as a history of warfare going back to the original state of nature of hunting-gathering bands, Hobbes and Locke initiated a tradition of political thought that would be continued by Darwinians studying moral and political history as evolution by group selection. Darwinians can understand modern liberal regimes as a revival of the "egalitarian hierarchy" (Chris Boehm) that existed among foraging bands, in which the natural desire of the few for dominance was checked by the natural desire of the many to resist dominance, except that now, in modern liberal regimes, the freedom of foraging societies has been combined with the civilzation of modern commercial societies. Eventually, human social and political evolution has brought a general decline in violence (as Steven Pinker has shown). But that decline in violence can never bring perpetual peace (contrary to the utopian pacifism of people like Herbert Spencer), because the enforcement of the liberal norm of voluntary cooperation will always depend on the threat or use of force against those who would violate that norm. These points are elaborated in a previous post, which includes links to many other pertinent posts. An especially pertinent post is the one on Thomas Aquinas, Harriet Beecher Stowe, and the "Christian Uncle Tom problem." Against the teaching of the Sermon on the Mount, Darwinian natural right rests on the idea that morality is rooted in the evolved dispositions of animals to feel anger against those that threaten them, and that this naturally evolved animal inclination to ward off attacks is the deepest root of that sense of injustice that underlies all human morality. Vengeance is a virtue, perhaps even the fundamental virtue.